Fruit compote is such a simple recipe to pull together on a whim. Whether you are out of maple syrup, using up excess fruit or adding just the right finishing touch to a sweet or savory dish, you’ll become a devoted fan of of this fancy-sounding but super simple way of creating a sauce with fruit. 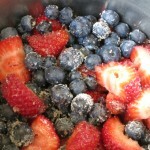 Fresh or frozen fruit compote – a simple quick topping for breakfast, brunch or dessert. Out of maple syrup on Pancake Sunday – what is a good mom to do? Make an omelette? Serve fake syrup? Go out? 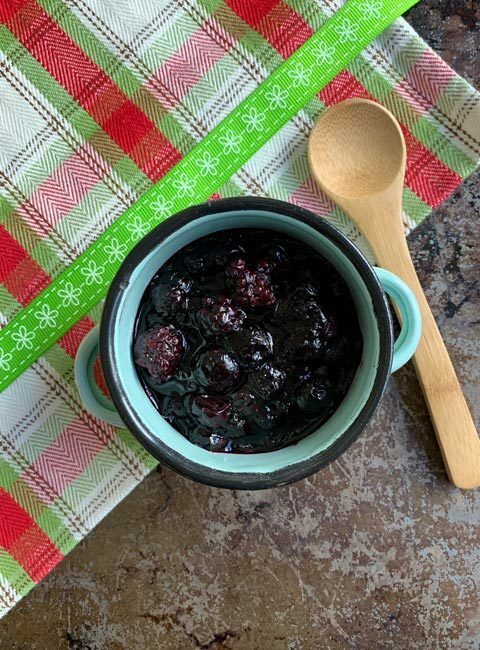 Motivated by a 3-bag-full trip to a new farmer’s market and a post about blueberry compote by Hannah from the blog Blue Kale Road, I created a fruit compote instead using the beautiful fresh berries purchased the day before. What is a Fruit Compote? Compotes are simply fresh or frozen fruits cooked with a bit of sweetener and spices to create a syrupy, chunky fruit dessert. I think of it as cooking fruit to create a sauce. 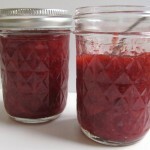 It is one step simpler than preparing jam. It cooks for less time and while it will tend to thicken up, you are not looking for a spreadable end result, but rather a pourable or spoonable texture. How Do you Make a Fruit Compote? Compote-making is a simple process. Wash and slice your fresh fruit or measure your frozen berries. Add the fruit to a medium-sized sauce pan. Add some sugar or sweetener of choice. Add the zest of about half of a medium size lemon (meyer if you have it), also a tablespoon of lemon juice and a teaspoon of vanilla. Here you can be creative with your flavors – use alternate citrus such as oranges or limes, add cinnamon, ginger, allspice, cardamom. You are only restricted by your spice drawer or imagination. Turn the stove to medium until the mixture begins to boil (about five minutes), then turn to medium low and let it simmer for about another ten minutes. Taste for sweetness and flavor – I added the very last teaspoon of maple syrup at the end for just a touch more sweetness and hint of maple flavor. If it’s too thick, extra juice from the citrus you used can be added. Let it cool down before using – it will thicken up a bit more as it does. 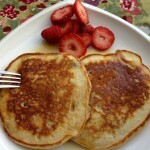 Serve it over Deb’s Perfect Pancakes! 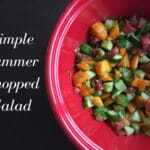 I had some leftover compote which I ate about three days later and the flavor was even better! So this is definitely a recipe you can make ahead for a brunch or gathering of any sort. What Should you Serve with Fruit Compote? 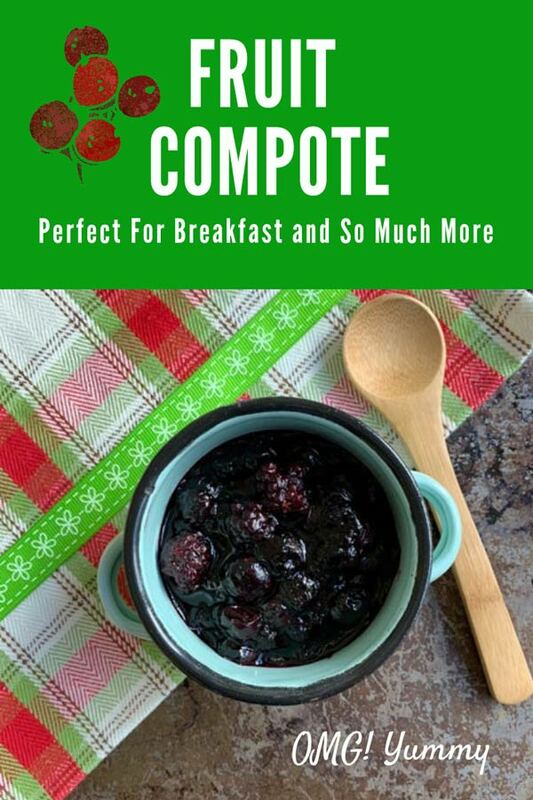 Compote is an obvious fit for breakfast – on pancakes, waffles, french toast, or yogurt. Even a sidekick to scones or hearty toast. But don’t stop there – it will thicken up when you refrigerate it. Go ahead and spread it on a sandwich, or reheat it and serve it with some leftover pork or chicken. For dinner – think side dish to a pork tenderloin or roast chicken. Or the simplest dessert with just a dollop of whipped cream, ice cream, or yogurt on top. 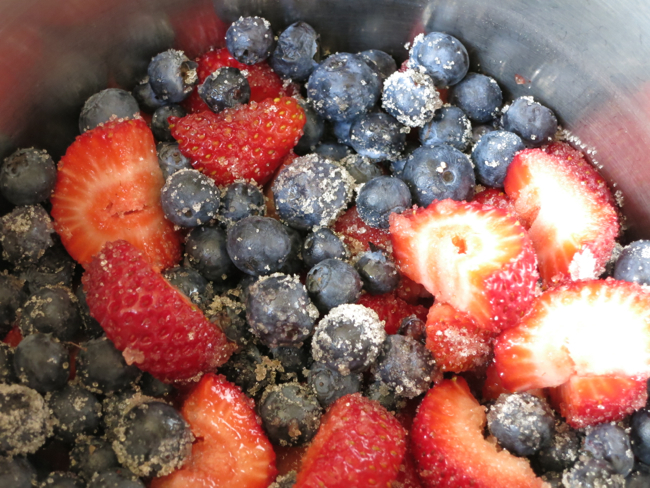 A simple technique - similar to jam-making but quicker and less sugar - the idea is to have nice chunks of fruit remain and to preserve the flavor of the fruit, in this case strawberries and blueberries. Combine all the ingredients in a medium size saucepan and bring to a boil on medium heat. This should take about 5 minutes. Turn down to medium low and let slowly simmer/boil for about 10 more minutes until the fruit is starting to break down but is still whole. Take off heat and let it cool down a bit before using. It will thicken up a bit as it does. Yup – me too! My mom used to call it stewed fruit! This will take breakfast to the next level! It really does but it’s so easy to make! 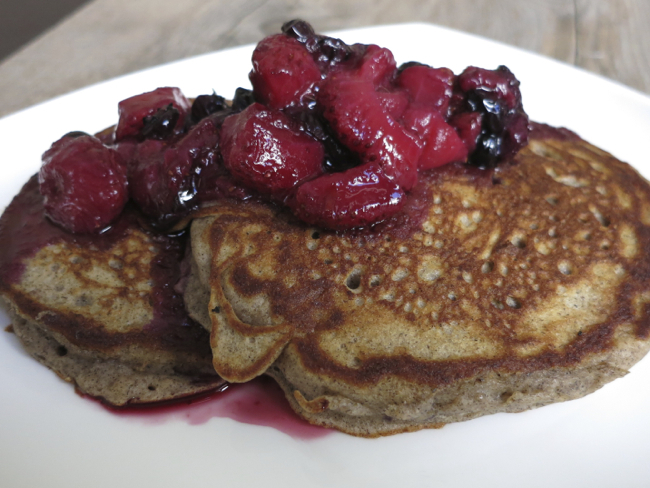 Perfect healthy addition to a great stack of pancakes! 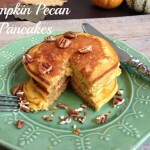 I love pancakes and this is a delicious topping! Thanks! Right? Craving some right now! I can have this all the time!! Looks so tasty! 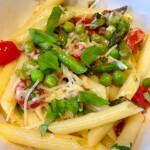 I know – craving some right now! Homemade compote is such a treat. I’m so looking forward to berry season here. Hi Teresa! well I’m with you guys in spirit at FFWD if not in reality – remember that! Hope that the berries are starting to appear in your neck of the woods! Stop by Tasting Jerusalem and join the conversation even if you don’t have time to cook! Great to see you here – thx for popping over! I love your family pancake Sundays, Beth! You’re creating such warm, delicious food memories for your children. I’d love a spot at your table some morning! What a terrific stash of berries from the farmer’s market – your compote sounds marvelous, especially with that touch of maple you add at the end. Stirring it into yogurt is a favorite of mine, too. Thank you for the kind mention! I hope you all enjoy a wonderful long weekend! Hope you had a great 3-day weekend Hannah. I bet there is lots going on with the high school graduation season upon you, just as in our household. I didn’t make pancakes this weekend and my daughter was still craving them yesterday – so I whipped some up on my way out the door – I guess they are absolutely necessary at this point! Your post brought back childhood memories. My mom always served pancakes and waffles with “homemade” maple syrup AND homemade jam! Her maple syrup was a thick simple syrup flavored with maple and vanilla extract. We never knew the taste of real maple syrup and it was much better than the store bought fake stuff! 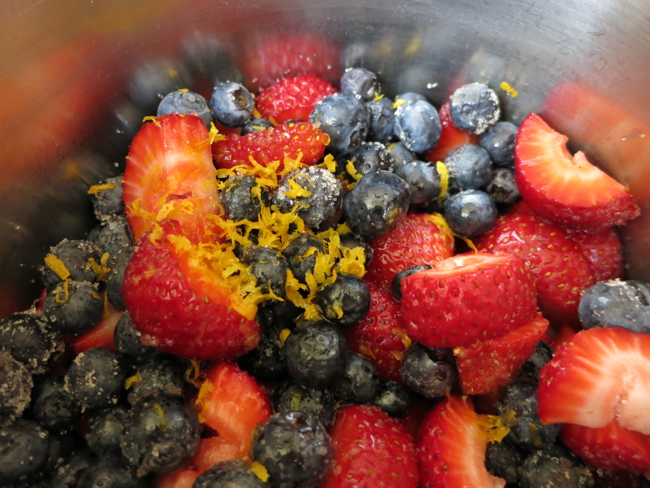 These days I opt for the real deal but your lush compote of summer fruit is just irresistible! 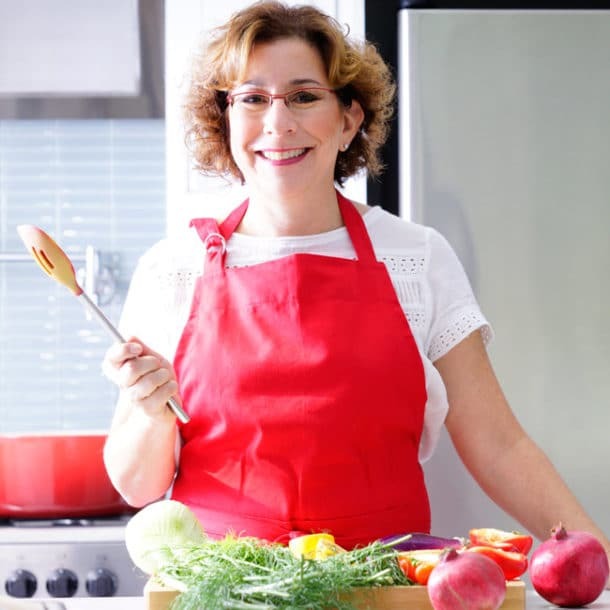 Oh you made my day Deb – I know we food bloggers probably say it so much but it just warms my heart to give people a moment to pause and recall fond memories about food. How interesting that your mom made her own maple syrup. Way better than Mrs. Butterworth’s I’m sure! 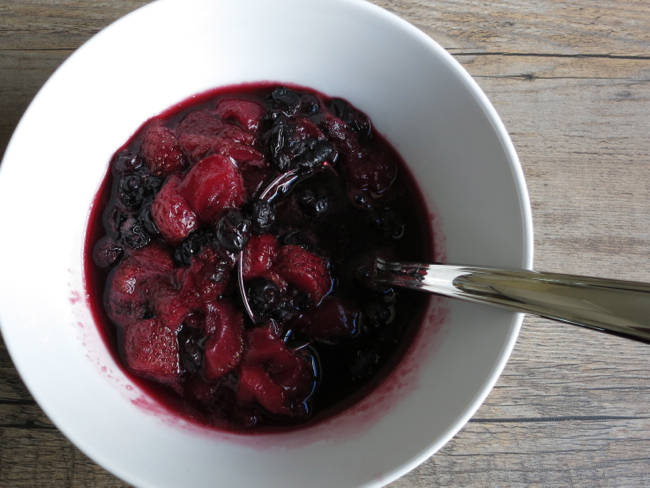 I’m eating that last bit of compote on my yogurt right now – another great way to enjoy it! what a great idea. will have to get the fresh fruit (which we both love) and try this. Yes – try it – it’s so easy – in fact come to think of it – it’s really you that taught me to cook fruit. But try it with berries – you and Dad will love it!